Turn off the Pacific Highway overpass to Karuah and turn right at the traffic lights - 600m to entrance. We offer a quiet waterfront location looking east over the bay and down to the heads. BIG4 Karuah Jetty also has private boat ramp access and a 200m jetty for boating and fishing with boat parking available near our Villas. 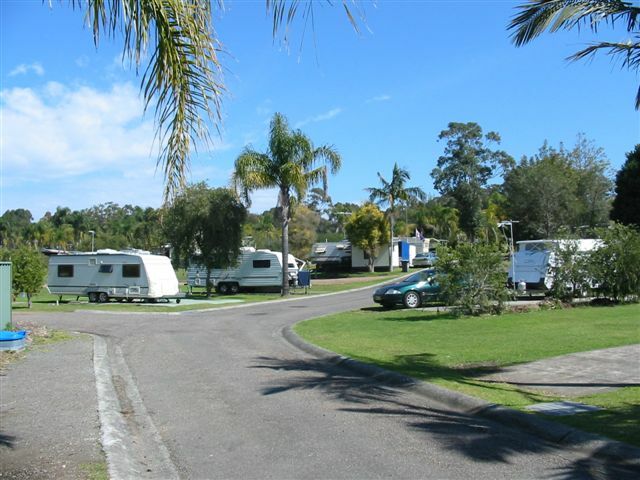 Located at the northen end of Ports Stephens and situated on the Karuah River we offer luxury two bedroom cabins, budget open plan cabins, drive-thru powered sites & camping sites for caravans, motorhomes and campers. We have a great activities both in and around the park including fishing, tennis, kids playground, jumping pillow & swimming pools with waterplay equipment. It is just a short walk to clubs & shops. This spacious 3 Bedroom Villa offers a King bed with private ensuite in the main bedroom, a King in the second bedroom and double bunks in the third bedroom all with linen provided. There is a second main bathroom with hairdryer and a full kitchen with a dishwasher, oven and coffee machine. The spacious lounge has two large sofas and dining table with TV and DVD player as well as a fully furnished deck and car parking alongside. Please note: children must over the age of 9 years to use the top bunks. This newly renovated two-bedroom villa offers a queen bed in the main bedroom and two singles in the second bedroom with all linen provided. They have reverse cycle air-conditioning, a full kitchen with oven/stove and dishwasher, bathroom with hairdryer, lounge and dining room with flat screen television and DVD player, and furnished deck with car parking alongside. These modern and well appointed luxury 2 Bedroom Villas have a Queen Bed in the main bedroom and 2 sets of single bunks in the second bedroom with all linen provided. They have a bathroom with hairdryer, self-contained kitchen with full size fridge/freezer, dining table and lounge, flat screen TV & DVD, air conditioning, and furnished deck with parking alongside. Please note: children must over the age of 9 years to use the top bunks. These spacious, newly renovated 2 Bedroom Villas have a queen bed in the main bedroom with two singles in the second bedroom with all linen provided. They offer a modern bathroom with hairdryer, self-contained kitchen with dishwasher, oven and full size fridge/freezer, dining table & lounge, TV/DVD, air conditioning, and furnished deck with parking alongside. These spacious two bedroom Villas offer a queen bed in the main bedroom and two singles in the second bedroom with all linen provided. They have a bathroom with hairdryer, self-contained kitchen with oven and full size fridge/freezer, dining table and lounge, flat screen TV & DVD, air conditioning and furnished deck with parking alongside. These comfortable open plan Units cater for up to 3 guests with a King bed and Single bed with all linen provided. 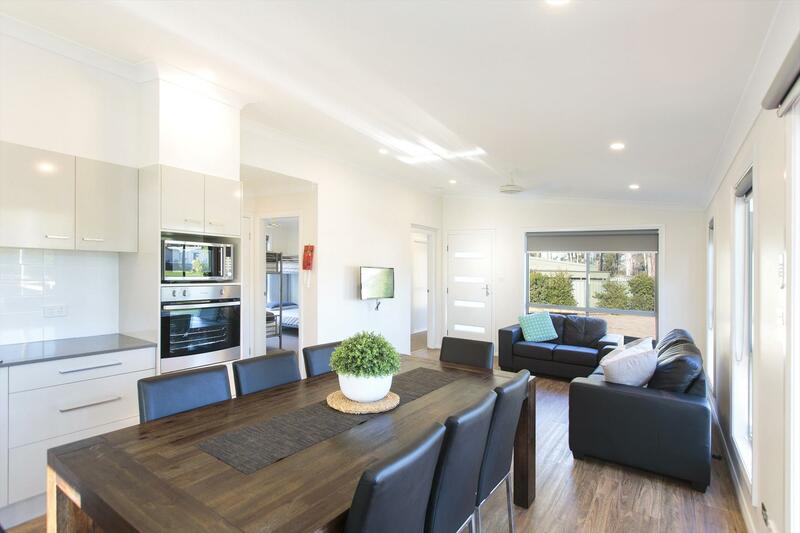 They offer a self-contained kitchen with full size fridge/freezer, bathroom with hairdryer, dining table & lounge, flat screen TV, air conditioning, and furnished deck with parking alongside. These spacious ensuite sites offer power, water and private bathroom facilities for caravans, motorhomes or campers. Experience a little bit of luxury camping! These spacious powered sites offer a concrete slab, power, water, and sullage with some drive thru sites available. These spacious well grassed sites offer power, water, and sullage with some drive thru sites available. Conveniently located between a pool and amenity block these Drive-through while staying hitched sites are perfect for a quick overnight rest. No need to unhitch as our local RSL Club with restaurant also operates a courtesy bus pick up just 20m from these sites! 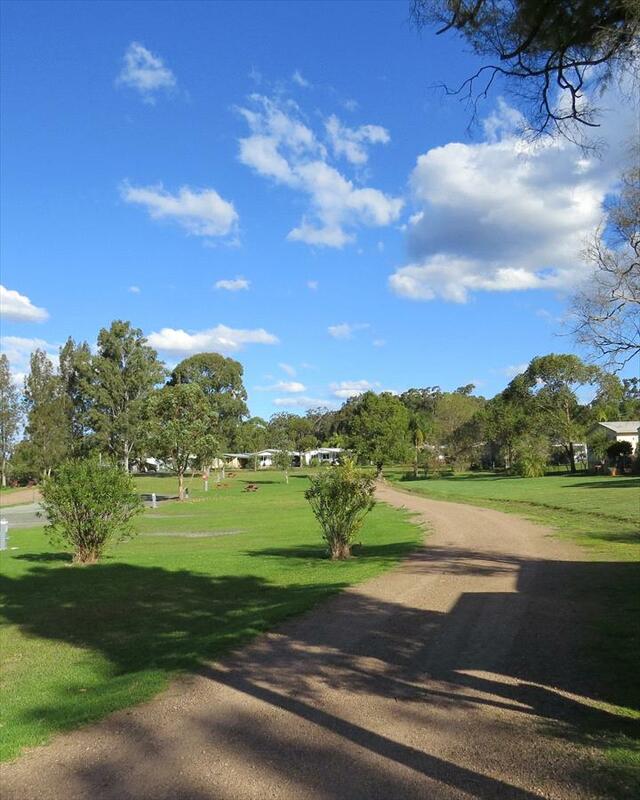 These unpowered well grassed sites are perfect for tents and camper trailers with access to water and our camp kitchen facilities. These smaller powered sites are located close to the top pool and amenities block and are approximately 4 x 6 metres in size. They can accommodate single swags, dome tents, and campervans no longer than 5m for up to three adults or 2 adults and 1 child.